Galion’s Austin Adams watches a fly ball during the Graders 4-2 loss to the Southern Ohio Copperheads on Saturday at James D. Heddleson Field at Heise Park. The Graders home opener for the 2015 Great Lakes Summer Collegiate League season drew 526 fans. GALION — Southern Ohio scored twice in the eighth inning and benefited from solid relief pitching to knock off Galion 4-2 in the Graders home opener on Saturday at James D. Heddleson Field at Heise Park. Galion (0-3) drew a crowd of 526 for its first home game, which featured local products Austin Adams of Crestline and Brody Basilone of Lexington in the starting lineup. The Graders dropped two games to three-time defending Great Lakes Summer Collegiate League champion Licking County, losing 13-4 and 7-2 on Thursday and Friday. The Copperheads, Saturday’s opponent, was the 2014 league playoff runner-up. In the pivotal eighth inning, with the scored tied 2-2, the first two Southern Ohio batters reached base. Trevor Ezell singled and Grant Wruble drew a walk to put runners in scoring position. A passed ball advanced both runners a base, setting the stage for Brett Impemba to drive in Ezell with a basehit off Graders reliever Josh Peterson that gave the Copperheads a 3-2 lead. Ben Hamilton then replaced Peterson on the mound for Galion, but he surrendered a basehit to Southern Ohio’s Tony Giannini that pushed the visitors’ lead to 4-2. Copperheads relief pitcher Greg Jacknewitz struck out the side in the home half of the eighth, and closer Eddie Fitzpatrick retired the Graders in order on three strikeouts in the last of the ninth to secure the win for Southern Ohio. The Graders took a 1-0 lead in the third inning after Tyler Ocker drew a one-out walk and scored on a single to left field by Brandon Wright. Wright advanced to second after the Copperheads outfielder let the ball slip past him, but Galion was unable to do any further damage. Southern Ohio (1-0) answered in the top of the fourth inning, plating two runs to take the lead. Chris Osborne belted a two-out double to drive in Jason Suchanek with the tying run. Osborne gave the Copperheads a 2-1 lead when he scored on a single by Wruble. Galion tied the game at 2-2 in the bottom of the fourth. An error by the Southern Ohio first baseman allowed Hunter Clanin to get aboard. Clanin moved to third on another Copperheads error. Basilone then singled to score Clanin. The Graders threat was quashed when Southern Ohio turned a double play to end the inning. 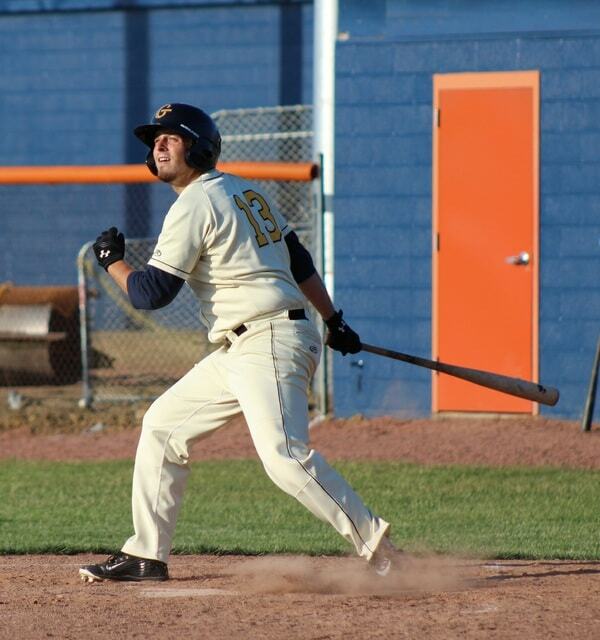 Osborne led the Copperheads 12-hit attack by going 3-for-5. Ezell, Wruble and Impemba each had two hits. Jacknewitz earned the win in relief for Southern Ohio. He worked three scoreless innings, allowed just two hits and recorded six strikeouts. Fitzpatrick pitched a perfect ninth to earn the save. Andrew Gonzalez was the starter. He pitched five innings, giving up two runs on three hits. He had four strikeouts and three walks. Galion starter Matthew Sullivan worked a solid five innings for the Graders. He gave up two runs on five hits and recorded six strikeouts and just one walk. Peterson was saddled with the loss. He pitched two innings and was touched for two runs and five hits. He had one strikeout and one walk. Hamilton worked two scoreless innings for the Graders. He gave up two hits and recorded one strikeout and one walk. Wright led the Graders at the plate, going 2-for-4. Basilone and J.T. Core each went 1-for-3. Colton Carney was 1-for-2 with a double. Galion and Southern Ohio will square off again on Sunday at Bob Wren Stadium in Athens. First pitch is set for 7:30 p.m. The Graders return home on Tuesday to face the Cincinnati Steam. First pitch is set for 7:05 p.m. at James D. Heddleson Field at Heise Park.